Qikour Bicycle brake handle Full Aluminum Alloy Brake Handle Mountain Road 3-Finger Version Bike Brake Lever by Qikour at Melon City Bike Club. MPN: 320D. Hurry! Limited time offer. Offer valid only while supplies last. 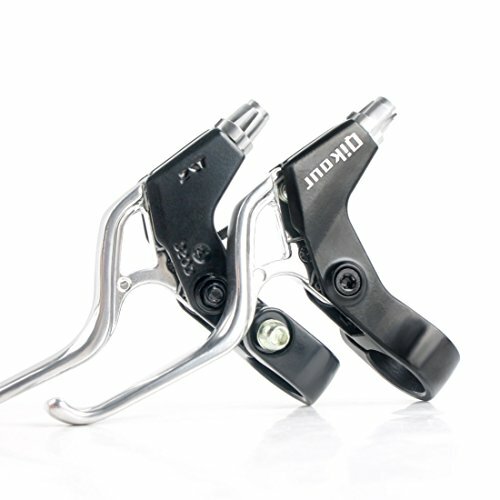 1 Pair Mountain bicycle bike hand brake lever - Specifications: 1. Name:Bicycle Brake Lever 2. Color: Black+Silver 3. Material: Aluminum alloy 4. - 30 days Money Back Guarantee! - 1 Year Manufacuturer Guarantee! If you have any questions about this product by Qikour, contact us by completing and submitting the form below. If you are looking for a specif part number, please include it with your message.